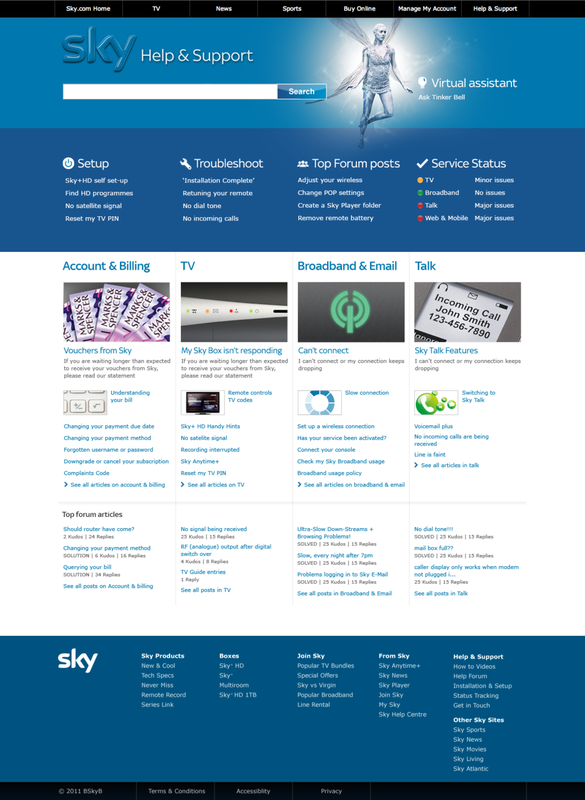 Sky needed a refresh of Help Centre and My Account sections so that they'd provide a seamless experience on mobile devices and improve usability of a knowledge base of over 600 articles. Users were finding setup journeys cumbersome and the online bill was difficult to understand. Ran and managed workshops with stakeholders. Created adaptive designs for a seamless experience for both web and app modules. Mapped out user journeys and paper sketches of key templates and detail design of patterns. Worked in an Agile environment with up to 25 developers. Collaborated with editorial department and created conceptual work around key articles with rich media design solutions. The Help Centre serviced both the website and the award winning app Go. Clear visualisation of stepped processes was key to help new users through the set-up procedure. Rich media content was created to explain more complex features. A slick look and feel was complemented by friendly copy and down to earth videos presented by known Sky anchormen and women. The approach was a success and used later on by the Shop and Campaigns departments as well. With a bigger part of the audience enjoying more and more video content online the next idea was to introduce the video bill. Worked with the stakeholders to find the best way to represent pro rata charges for different products across at different stages. I've Art Directed the personalised automated videos working with devs and the visual effects studio.